This video shows the incredible moment a dog bounded into the water to rescue a drowning young deer. Mark Freeley had been walking his dogs, Storm and Sara, by the Long Island Sound in New York state on Sunday when the pooch suddenly leapt into the water. 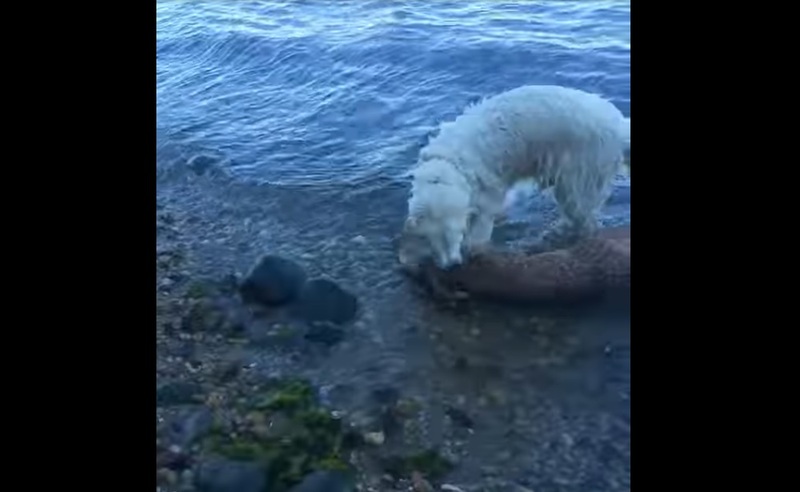 The English golden retriever swam out into the sound before grabbing something by the neck and pulling it back to shore. It was a baby deer. “Storm just plunged into the water and started swimming out to the fawn, grabbed it by the neck, and started swimming to shore,” Freeley told CBS News.